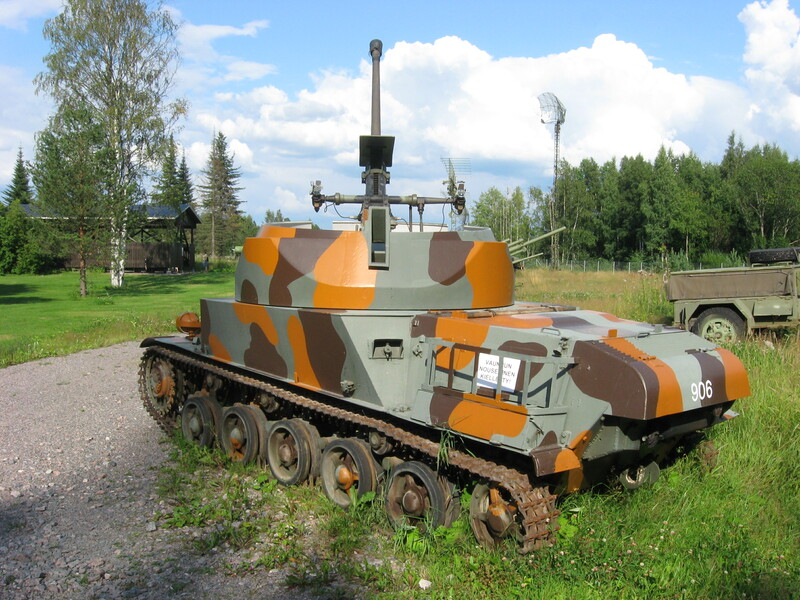 This tank, known also as Landsverk anti-II or L-62 or locally ItPsv 41, was an AA SPG based on the Stridsvagn L-60/Toldi chassis, developed by Sweden and used by Finland. Scarce information is known about it and I will try to tell you everything I found on the web about it. The tank was used in Hungary too – as the Nimrod (license built). More is known on the Nimrod (FTR). So I will assume that this tank is a downgraded Nimrod with 1 less crewmember. Also it is 1 ton lighter, with a 50 cm lower turret than the Hungarian variant and with an engine that has 115 hp (5 more than the Nimrod), so it makes up with more camo and mobility. 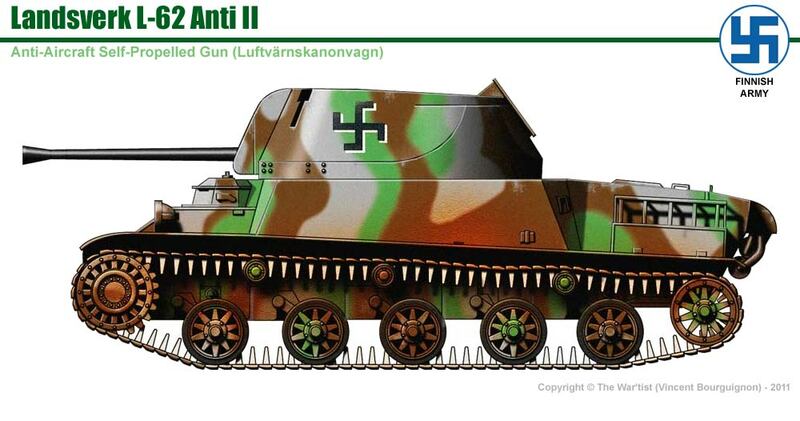 The 6 Anti-II AA SPGs used by Finland downed 11 Soviet aircraft in the summer of 1944, with no kills in the AA ranks. 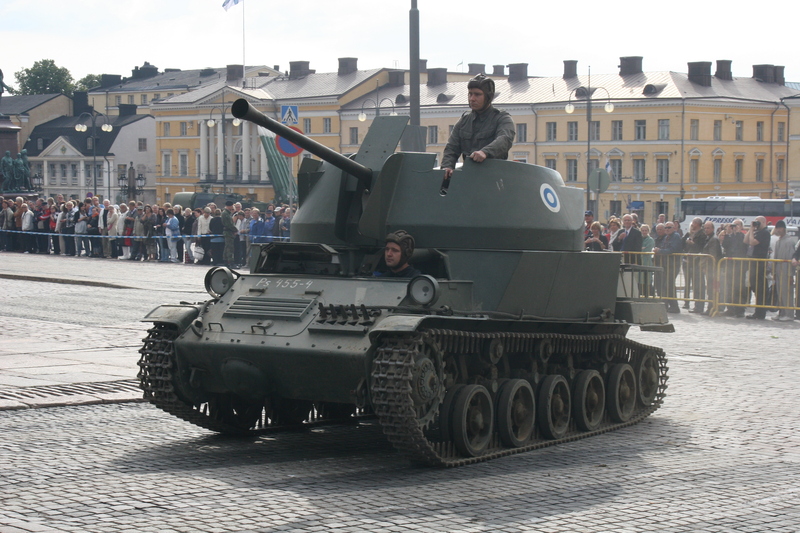 The tanks were in Finnish service until 1966. Now they are featured in various museums. The L-62 chassis was more effective than the L-60 one: it had 5 small roadwheels instead of 4 large ones. Penetration: AT Hungarian ammo had 46 mm penetration at 100 m and 30 mm penetration at 1000 m. I will assume that it can be buffed a bit, to 50-60 mm penetration. The Finns had no historical AT ammo, so I guess the Hungarian one is the best for this role. Speed: 40 km/h (25 mph) Speed limit: 50 km/h. Any idea what the difference between this and a Nimrod 40m is?